Save cash by purchasing a Hampton travel package. Just pick out your favorite options and let Expedia take care of the rest. As much as C$590* can be saved when you secure your package deal on Expedia. Select from more than 400 partner airlines and 321,000 worldwide properties via our extensive database of flights and accommodations. Fly with who you want, stay where you want — now that's the ideal vacation! Almost all reservations can be changed without any additional charges from us. It can be quite pleasant to just wander the streets in a new destination, but sometimes it's a wise idea to make a plan. Grab your itinerary — we've got some cool ideas for your impending Hampton vacation. The Virginia Air and Space Center is worth taking a look around if you want to get a good feel for the area. This excellent sight is at the top of the itinerary of most visitors. There's nothing more enlightening than magnificent, time-honored learning institutions. Hampton University has a rich history of rearing the leaders of tomorrow. Still got some time on your hands? Leave the history journals! Witness the past come to life at Hampton History Museum. After luxury getaways or cheap vacations near the middle of Hampton? Be sure to look up the listed accommodations before you leave. There are 2 options in the vicinity of this area. Not quite sure where to stay? Don't stress, we've got you covered! Try the Crowne Plaza Hampton Marina (700 Settlers Landing Rd) and the Super 8 Hampton VA (1330 Thomas St). Hopping on a flight to Newport News - Williamsburg International Airport (PHF)? It's 11 miles (18 km) northwest of the middle of this area. Time to collect your baggage and get your trip to Hampton started! Situated near the airport, this hotel is within a 15-minute walk of Hampton Roads Convention Center and Hampton Coliseum. Virginia Air and Space Center and Langley Air Force Base are also within 9 mi (15 km). Situated in Hampton, this hotel is within 1 mi (2 km) of Peninsula Town Center and Hampton Roads Convention Center. Hampton Coliseum is 1.3 mi (2.2 km) away. Situated in Hampton, this hotel is within a 15-minute walk of Hampton Roads Convention Center and Hampton Coliseum. Langley Air Force Base is 3 mi (4.8 km) away. Situated in the business district, this hotel is within 1 mi (2 km) of Peninsula Town Center and Hampton Roads Convention Center. Hampton Coliseum is 1.4 mi (2.2 km) away. Situated near the beach, this hotel is within a 15-minute walk of Hampton Roads Convention Center and Hampton Coliseum. Langley Air Force Base is 3 mi (4.8 km) away. Situated in Hampton, this hotel is within a 15-minute walk of Peninsula Town Center and Hampton Roads Convention Center. Hampton Coliseum and Langley Air Force Base are also within 3 mi (5 km). 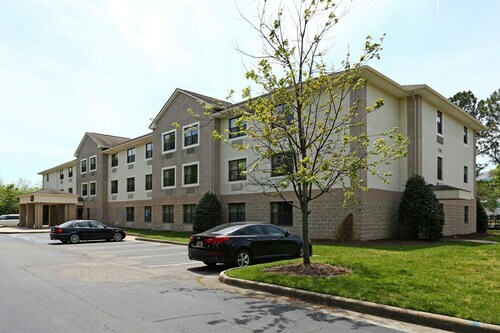 Situated in Hampton, this hotel is 1.2 mi (1.9 km) from Peninsula Town Center and within 3 mi (5 km) of Hampton Coliseum and Hampton Roads Convention Center. Langley Air Force Base is 2.3 mi (3.7 km) away. 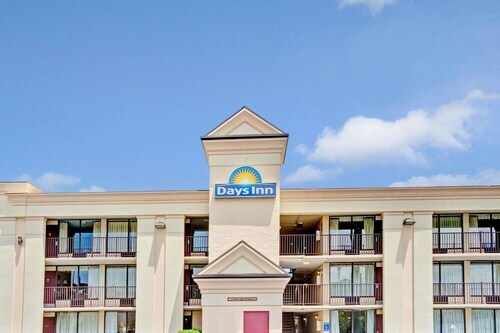 Situated in Hampton, this hotel is 1.2 mi (2 km) from Peninsula Town Center and within 3 mi (5 km) of Hampton Coliseum and Hampton Roads Convention Center. Langley Air Force Base is 2.2 mi (3.6 km) away. Thu., 16 Jan. - Thu., 23 Jan.
Newport News - Williamsburg Intl. Sat., 31 Aug. - Mon., 2 Sep.